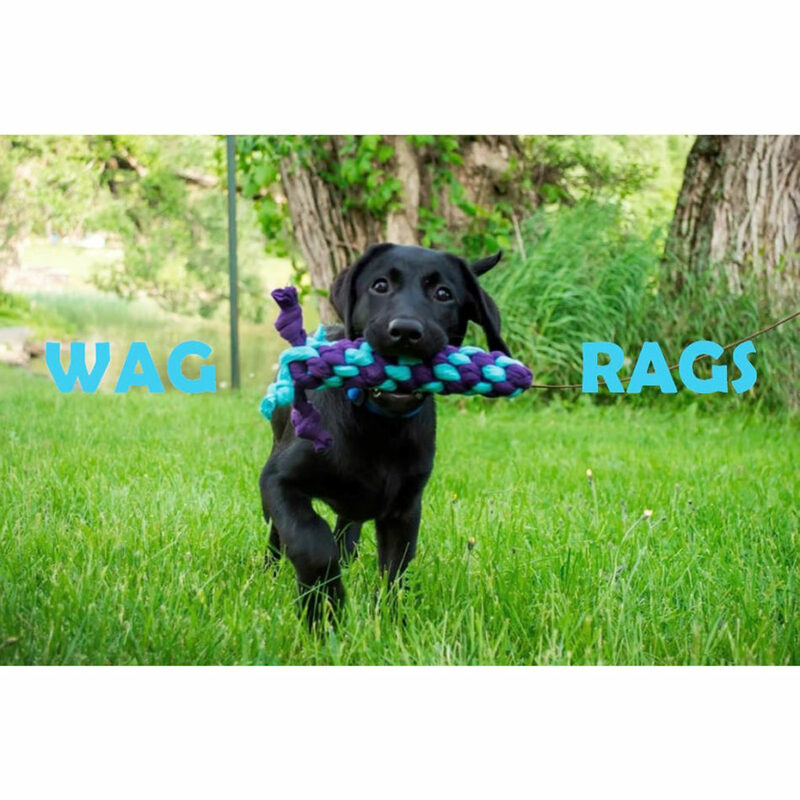 Perfect for any dog, the Wag Rag is hand-knotted using recycled t-shirts. 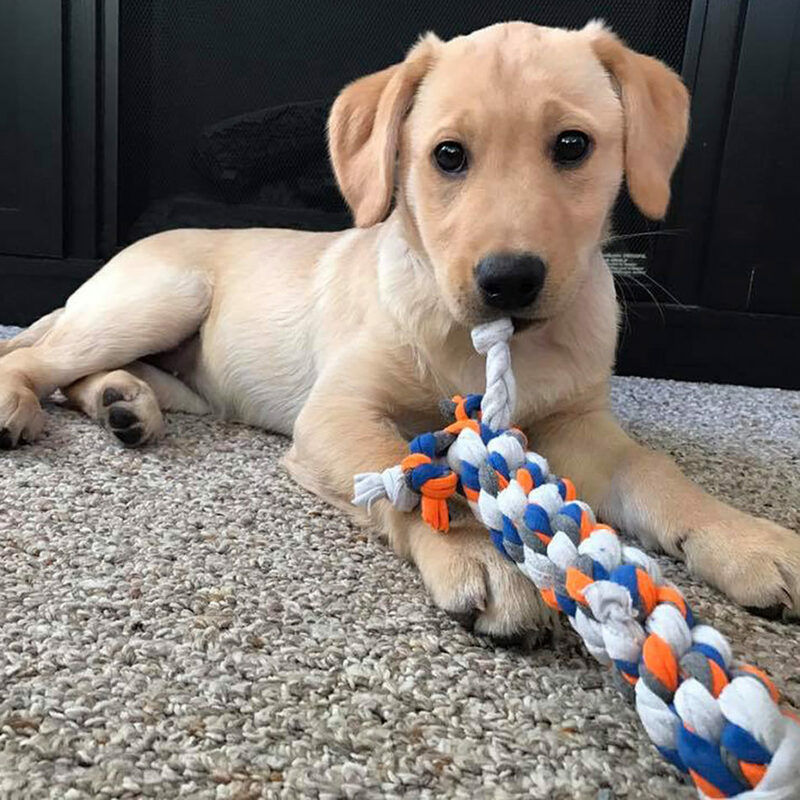 The knot that is used creates a toy that is much more difficult to unravel. The knot also gives the toy a nice ‘give’ that makes it great for tugging. 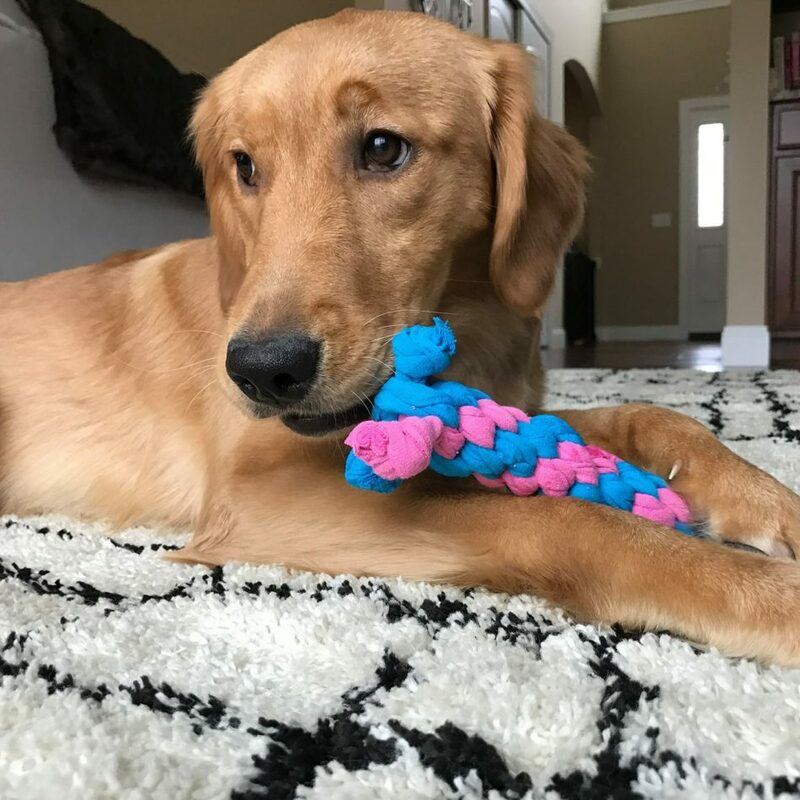 Even if your pup doesn’t enjoy playing with plush toys, the Wag Rag can still get their attention! Place little treats inside the knots and it will keep them busy! No two Wag Rags are identical! When a Wag Rag gets dirty, simply toss it in the washer and dryer; after all, they are t-shirts!